THOUGHTSKOTO Thoughtskoto : BUDGET ON PRISONERS,3 TIMES LARGER THAN THE GOVERNMENT'S SPENDING FOR EVERY STUDENT? 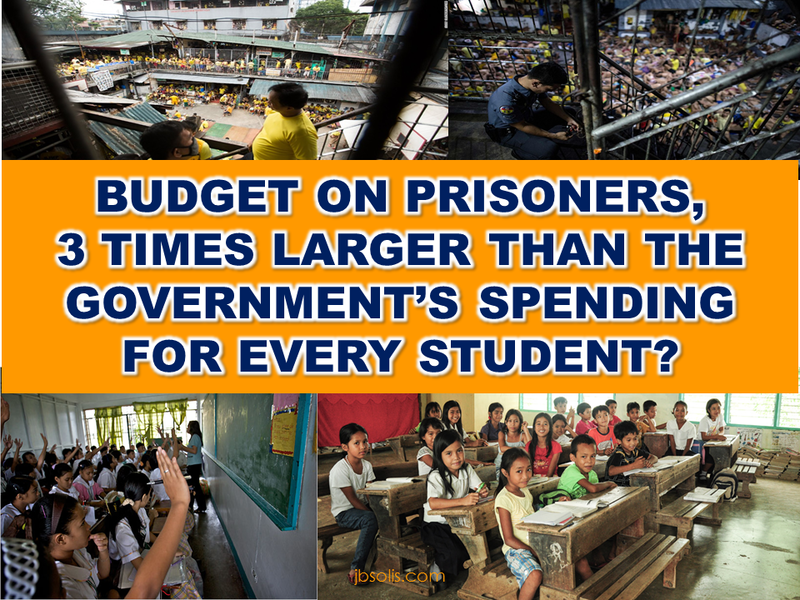 BUDGET ON PRISONERS,3 TIMES LARGER THAN THE GOVERNMENT'S SPENDING FOR EVERY STUDENT? The Philippine Government can save taxpayers annual cost of Php45,670 by issuing a pardon or parole to old and sick prisoner in Bureau of Correction.Same thing will happen if the Bureau of Jail Management and Penology will release an inmate whos time spent behind bars is longer than the maximum jail term of the crime he had been charged of.This is all according to Senate Minority Leader,Ralph Recto. Sen Recto cited the yearly expenditures of one inmate in the country's penal system in persuading President Duterte to push through with his plan to conditionally free convicts who will meet the requirements for executive clemency. The senator also said that the annual average spending for an inmate at present is amounting to Php 73,910,almost 3 times the Department of Education is spending per basic education student this year,which is Php23,775. Even government per capita spending for health, at P2,381 annually, is a mere 3.2 percent of what government spends yearly for a member of the prison republic, Recto said. An inmate’s P1,825 yearly allowance for medicines is far greater than the P96 per capita budget of the Department of Health (DOH) for medicines and vaccines this year, Recto added. Per beneficiary, Recto said BJMP’s and BuCor’s combined food budget of almost P2.5 billion for 135,000 inmates is bigger than the P4.27 billion that the Department of Social Welfare and Development (DSWD) will spend to feed 2.1 million undernourished children this year. First to be released, Recto suggested, should be “ailing, elderly, infirm” inmates, and those not yet sentenced but have been imprisoned longer than the jail time that awaits them if convicted. Recto said the country’s jails presently house 135,000 inmates, almost four times their capacity, with some jails cramming five prisoners into one square meter of cell space. To “house, feed, and guard” them, government will spend almost P10.1 billion this year – P8.06 billion for BJMP, and P2 billion for BuCor, Recto revealed. 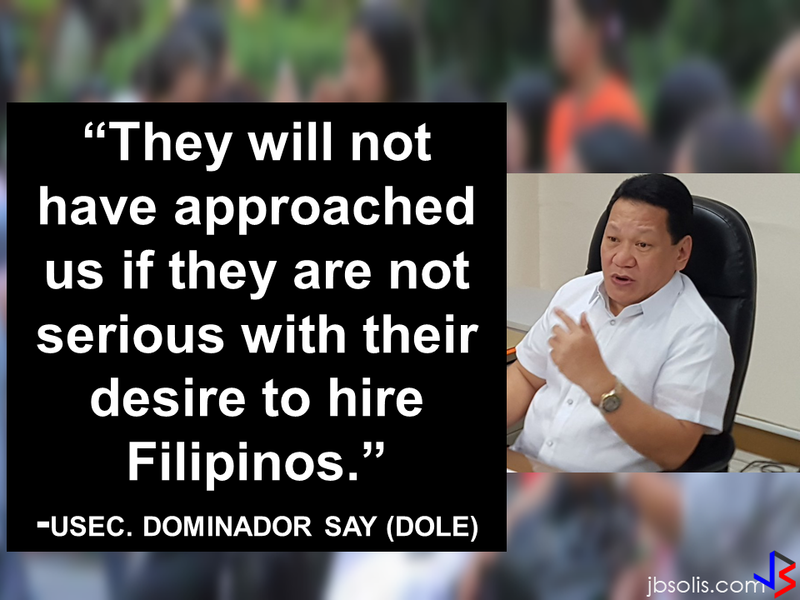 This will go up to P13.4 billion next year as government braces for a prison population boom resulting from its anti-drug campaign, he added. BJMP houses detainees awaiting trial and those who have been sentenced by the courts to not more than three years in jail, while those sentenced to more than three years and one day in prison are sent to BuCor. BJMP had 93,961 detainees under its care as of September last year, while eight Bucor prisons was projected to house 41,207 convicts this year, with more than half, or 23,749, in the New Bilibid Prison in Muntinlupa City. With cells built for 18,881 prisoners now housing 93,961, BJMP said its facilities are 397 percent over capacity while BuCor reports a 158 percent overcapacity rate at present, Recto said. To decongest jails, one of the quick fixes Recto is proposing is for Duterte to grant parole or pardon to “old, infirm, or gravely- or terminally-ill prisoners,” especially those who are not guilty of heinous crimes. If Duterte is planning to release so-called “political prisoners” to solidify the recently-signed peace deal with communist rebels, “then he must set in motion a process that will grant liberty to prisoners sick of cancer, the aged, the infirm, those who can be freed on humanitarian grounds,” Recto said. The judiciary, Recto said, must also play its role as protracted trials, marked by countless hearing postponements, contribute to a massive case backlog. Press reports on Monday quoted Justice Secretary Vitaliano Aguirre as saying that Duterte plans to grant pardon during his term after hundreds of qualified inmates failed to get reprieve during the Aquino administration.